Coming directly from DC COMICS, is the below article. 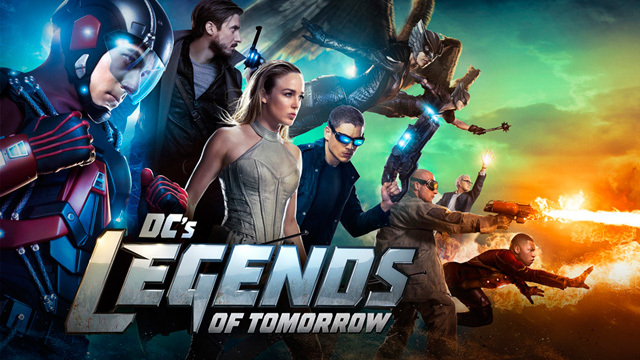 Are you excited for season 2 of Legends of Tomorrow? They thought they had their hands full with Vandal Savage! In today’s panel for DC’s Legends of Tomorrow, the producers of the hit CW series dropped some tantalizing hints for what lies ahead for the crew of the Waverider in Season 2. If you saw the Season 1 finale (and spoiler alert if you haven’t), the show ended with the remaining Legends meeting Rex Tyler, otherwise known as Hourman, who intervened on behalf of the Justice Society of America. Since that moment, fans have been excited at the prospect of seeing the JSA brought to the small screen in Season 2, and after tonight, we have a much better idea of what the team will look like… and who they’ll be facing. Fighting for justice alongside Hourman will be the not-yet-cast characters of Stargirl, Obsidian and Dr. Mid-Nite. In the comics, Stargirl, of course, is Courtney Whitmore, the youthful hero who gains super powers after she inherits the powerful Cosmic Staff from Starman. Obsidian was introduced as the son of Golden Age Green Lantern Alan Scott who possesses the capability to become a powerful shadow. Dr. Mid-Nite is a crime fighting physician who can only see in complete darkness. Three different people have carried the Dr. Mid-Nite persona over the years, and we’ll have to wait to see which version is brought to DC’s Legends of Tomorrow. Enjoy this article? Share it on all social media, like it, and like our Facebook. ← Official Justice League Trailer released!